OHSWEKEN, Ont. (October 10, 2018) – Tickets are now on sale for the Ohsweken Speedway Kool Kidz Ice & Water Micro Sprint Banquet coming up on Saturday, October 20. 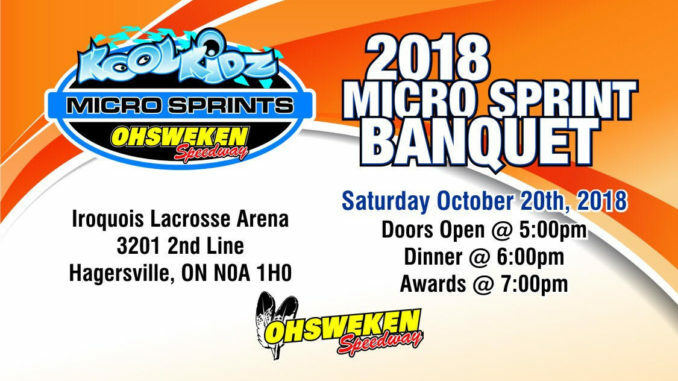 The to recognize the accomplishments of the track’s up and coming Micro Sprint stars will take place at the Iroquois Lacrosse Arena, located at 3201 2nd Line, Hagersville, ON. Tickets are available for $25 for attendees 13 and older and $20 for attendees 12 and under. They can be purchased by contacting Christine Ferrell by calling (519) 865-0643 or via email cjcferrell@gmail.com. Doors will open for the banquet at 5:00pm prior to dinner at 6:00pm. 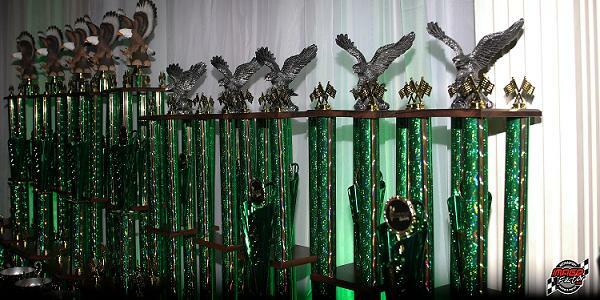 Awards are scheduled to begin at 7:00pm to celebrate the impressive achievements of the Micro Sprint drivers from the 2018 season. We look forward to seeing everybody at the banquet.